» Who’s afraid of an innocent T-shirt? T-shirts are so ubiquitous and bound up in our consumer and pop culture that it’s easy to overlook them as deliberate communication platforms. Sure, we display our tribal affiliation by wearing T-shirts imprinted with the logo of our alma mater or favourite sports team. But more interesting to me are those T-shirts designed and worn to deliver a social or political message, such as the “Black Bart” tee-craze in the 1990s that depicted Bart Simpson as an African American. Political slogans first appeared on T-shirts in the 1940s, according to sociologist Diana Crane, author of Fashion and Its Social Agendas: Class, Gender, and Identity in Clothing. According to Crane, technical developments in the 1950s and 60s, such as plastic inks, plastic transfers, and spray paint led to the use of coloured designs. These, in turn, triggered a boom in graphic T-shirts with messages of social change. Knowing the mechanics of mass mobilization, the Chinese authorities were rightly concerned. More than 50 years ago, philosopher Hannah Arendt argued that the basis of political action is disclosing your views in the public realm, which is why, Arendt wrote, the Romans opted not to impose a dress code on slaves lest they see their great numbers and harness that power. 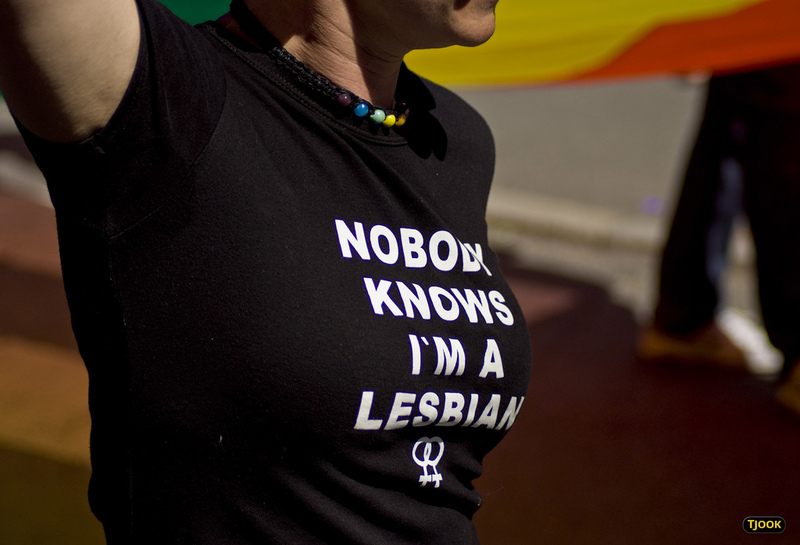 Penney’s research, published in the journal Popular Communication, provides an interesting look at how gays and lesbians used graphic T-shirts to announce their presence in the public sphere and to build solidarity. Penney studied newspaper and magazine articles from 1977 to the present, explored the displays at a number of museums in the U.S., and interviewed young adults who wear T-shirts featuring gay and lesbian themes. This was at a time when AIDS was sweeping through the gay community and businesses were trying to adapt, clumsily, to the public health issue. Northwest Airlines, for example, had a policy of refusing service to AIDS patients. In 1987, Vietnam veteran Leonard Matlovich attempted to board a Northwest Airlines plane in San Francisco wearing a T-shirt with the slogan “I’m a Human with AIDS.” Matlovich made national news when he was prevented from boarding the plane.